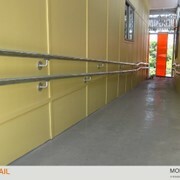 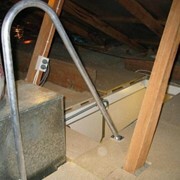 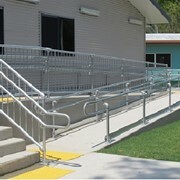 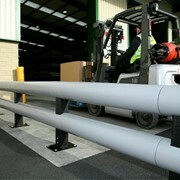 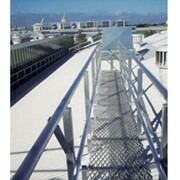 Armco Barriers Pty Ltd will manufacture, supply and install Handrail to suit any customer requirement. 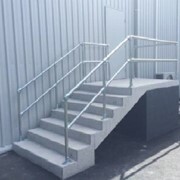 As with all of our products, the materials used, and the manufacturing process Armco® Handrail, meets the current Australian Standard; AS 1657-1992. 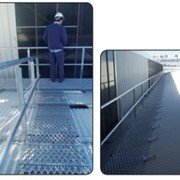 Armco Handrail as seen below, performs both as pedestrian and traffic control when used in conjunctionwith guardrail - Railgard™ or Armco® Handrail can be manufactured and installed as a stand alone item. 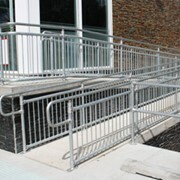 Shopping Trolley and Bicycle Bays are also products that Armco® Barriers Pty Ltd design, manufacture and install to your specific requirements. 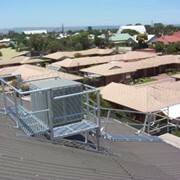 All products are available in a galvanised or powder coated finish.